Despite its small population, Laos has no fewer than 68 ethnic groups. 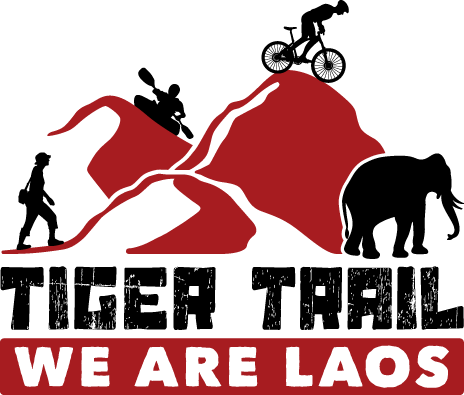 About half of the population in Laos are Lao Loum. Lao Lum, literally "lowland Lao," live in the river plains, mostly along the Mekong. Twelve ethnic groups make up the Lao Lum, including the LAO, PHOUAN, LEU, T’AI DAM, T’AI DENG, T'AI KHAO, T’AI MEUY, T’AI NEUA, T’AI NYEE, YUNG and SEAK. Lao Theung (20-30% of the population), or "upland Lao", live on mid-altitude slopes (officially defined as 300-900m) and are by far the poorest group, formerly used as slave labor by the Lao Loum. The Lao Theung comprise 36 ethnic groups, among them the KHMU, SAMAED, BID, PHONG, PUAK, YRU, PHOUNOY, KASENG, DOY, PHAI, MAKONG, KATANG, PAKOH, LAWAIN, LAWAE, NYAHERN, TRUI, SOO, SAPUAN, SOK, TREW, TALIANG, TAOY, ALUCK, KATOO, YAE, SUAY, CHENG, DARKKUNG, LAWEE, LAWUCK, OY, TONGLEUANG, KADO, THIN and SARMTAO. Laos is officially a Buddhist country, and the national symbol -- the gilded stupa of Pha That Luang in Vientiane -- has replaced the hammer and sickle even on the state seal. Still, a good deal of animist belief and practice remains in the culture and is particularly evident in the baci (also baasi), a ceremony conducted to bind the 32 guardian spirits to the participant's body before a long journey, after serious illness, the birth of a baby, or other significant life events. Lao custom dictates that women should wear the distinctive phaa sin, a long, patterned skirt, although ethnic groups often have their own clothing. The conical Vietnamese-style hat is also a common sight. These days men dress Western style and only don the phaa biang sash on ceremonial occasions. Contemporary women, especially in urban centres, often wear western-style clothing, though the "phaa sin" is still the mandatory attire in government offices (for those who work there as well as Lao women visiting). 90% of the Lao people consume sticky rice. The basket in which the rice is served is called tikao or kongkao and is portable. Food is normally laid out on a small round table on the floor and food is shared among family members. Houses, especially those of the lowland Lao (Lao Lum) are built on stilts and have free space underneath the roof, which features a triangular wind plate on each end. Both single- and a double-roofed houses are common. The number of steps on the stairs, of course, depends on the height of the house, but they are traditionally uneven numbers. Costumes depend on gender and age but Lao women tend in general to dress respectfully because they are traditionally understood to be the mothers of the nation. Lao women wear silk skirts, blouses and scarves to attend important ceremonies. Lao men wear salong, big large pants, or peasant pants to attend the important ceremonies. Traditionally, the primary occupations have been rice cultivation, animal husbandry, silk worm cultivation, and textile production. Today, common activities also include trade, fishing, labouring in small industry, or working for the government. Lao people like to smile, appreciate liberty, and avoid quarrelling in general. Among their values is a rejection of oppression, respect for the nation, the maintenance of honour and reputation. Most Lao people are very accepting and respectful of others.